Samsung SmartThings Wifi is a mesh router that provides a whopping 4,500 square feet of coverage while also working as a hub for your smart home devices. 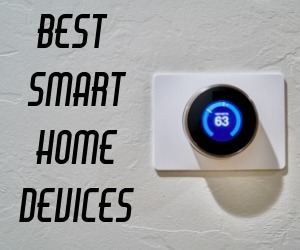 PCWorld reports that SmartThings Wifi is a rehash and upgrade on Samsung’s previous home network, Connect Home; similarly equipped with Bluetooth, ZigBee and Z-Wave technology to control your smart devices. This new iteration, however, also features AI-based mesh technology from Plume that elevates this router into a wide-ranging smart home hub for your entire home environment — no matter how big it is. The Plume technology is continually learning and evolving, adapting in real time to deliver the best possible performance for your network. It will learn your own preferences and the ins-and-outs of your home environment to deliver a personalized and reliable Wifi service, while at the same time drawing on the lessons its learned from being in millions of similar homes. The router is available as either a single node which can cover up to 1,500 square feet (priced at $119.99) or as a three pack, offering a huge 4,500 square feet of coverage (priced at $279.99). If you need more coverage, no problem — simply add more nodes until you’re completely covered. Thanks to the sophisticated mesh technology on offer here, you won’t experience any inconsistencies or rough service. Each Samsung SmartThings Wifi node includes a Qualcomm Quad 710MHz processor with 512 MB of RAM, 8GB of flash memory, and speeds reaching 866 Mbps (on the 5GHz channel) or 400 Mbps (on the 2.4GHz channel). TechRadar consider this ideal for gaming and 4K streaming. Using Plume, SmartThings Wifi is able to choose different channels for each data hop, ensuring that your connections are as fast, secure and efficient for the user as possible. Not for nothing do Samsung intend SmartThings Wifi to serve as the ‘brain’ of your smart home. There’s also a Plume app, designed to give you a detailed insight into your network, that’s able to measure speeds, calculate your most active smart home devices and even provide guest passwords to your connection. In order to set-up the router, you simply need to use the Plume app from your iOS or Android smartphone, as long as they are equipped with iOS 10 or higher, or Android OS 5.0 or higher.